Is this why new car sales are dropping? The average new car price in the US today is $33,319. The average US household income for 2018 was around $60,000. Millions of Americans are spending at least half, if not more, of their annual income on a new car, which is financed of course. However, the increase in car prices has come at a cost. According to CNBC, US auto sales are falling due to price increases, resulting in buyers at the lower end of the economic spectrum simply getting priced out of the new car market. Already for 2019, new car sales are predicted to drop around 2.5 percent from last year. Even rental car companies and other commercial businesses are expected to buy fewer cars. But just to give you another indicator as to just how much consumers have increased new car spending, the average buyer is now ponying up an additional $1,000 more per purchase compared to last year at this time. Are automakers increasing new car prices beyond regular inflation? Sometimes but not always. What’s happening is that automakers have been manufacturing fewer cheaper new vehicles. There’s simply less money to be made. Just look at the increase in demand for crossovers over conventional sedans. Crossovers typically cost more and it’s becoming increasingly difficult to find the so-called "base models” on dealership lots. For customers who are getting pushed out of the new vehicle market, and this is a growing number, they’re simply turning to used vehicles, both late model and older. Often times those late model vehicles still come with remaining time on the factory warranty. If those vehicles were leased by their original drivers, that means they were subject to yearly mileage limits, another strong selling point. 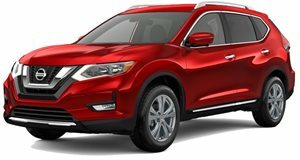 For example, an automaker could utilize data to see what a majority of, say, Nissan Rogue, buyers want regarding features. Take those findings and make more features standard, but still dangle the carrot just enough to make more expensive option packages attractive to those who can afford them. There are many possibilities, but the bottom line is that new vehicle sales are down because they’ve become too expensive. That will have to be reversed somehow.